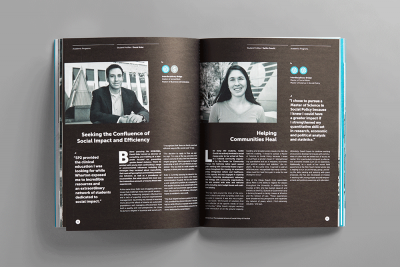 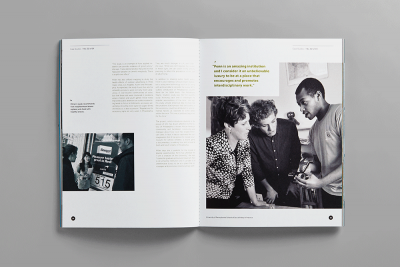 The School of Social Policy & Practice’s mission is the passionate pursuit of social innovation, impact and justice. 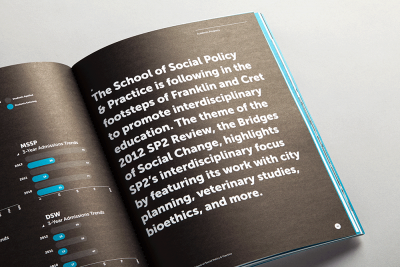 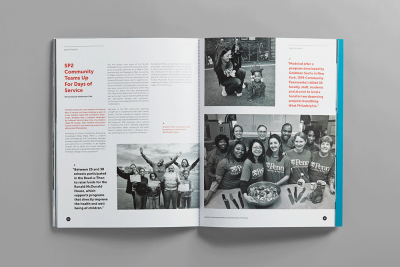 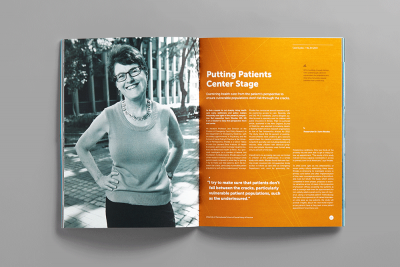 This publication was designed to highlight SP2’s interdisciplinary cooperation, groundbreaking studies and professional development. 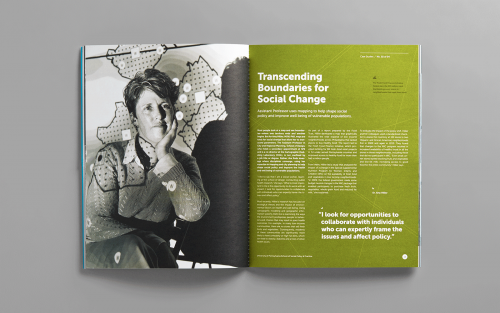 The theme “Bridges of Social Change” came from early discussions about interdisciplinary study. 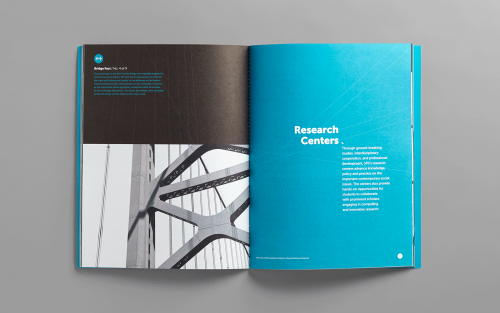 We used the Ben Franklin Bridge as a metaphor for connectivity, and designed a modern line pattern to add texture and communicate the concept of a “network” throughout the publication.